At the bottom of this tour is also a video tour of Wealthy Affiliate! ANYONE can start their own online business easily, especially with the training and the support provided by Wealthy Affiliate, which I have covered in my Wealthy Affiliate review. Without further ado, let us commence the tour! There are over 500 training modules offered inside Wealthy Affiliate. 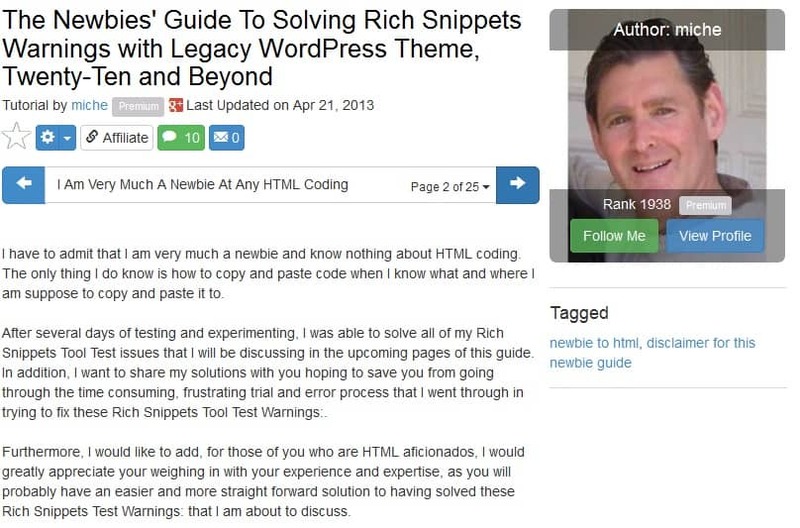 The Wealthy Affiliate courses are all up to date and current information, so you can be assured that whatever you learn can be applied in today’s context to help you monetize your website. The most awesome training is provided by Kyle, one of the co-founders of Wealthy Affiliate. In this training, you will be following a step-by-step curriculum every day to build your website from the ground up. Even if you are new to Affiliate Marketing, Kyle will teach you how easy it is to go in, and start creating your own online busines and website! 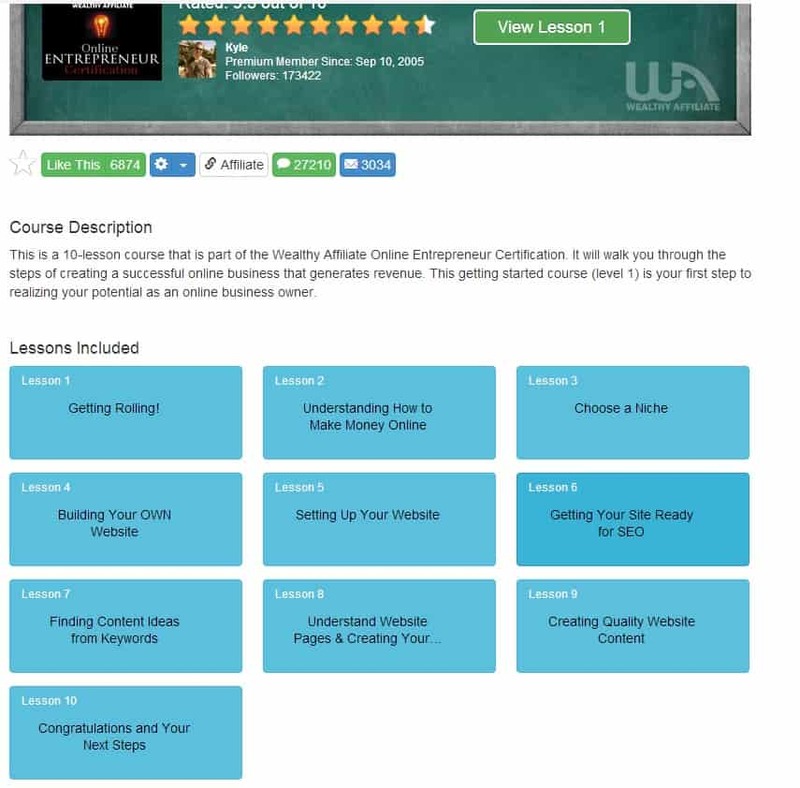 The moment you sign up free with Wealthy Affiliate, you will be directed to access Course 1 as seen below, which is your very first step to starting an online business! As you can see, there are 10 lessons in this course which you would progress on a daily basis, completing one lesson a day. You can always choose to go faster if you choose, but you might want to focus on each lesson properly before moving onto the next. In each lesson, you are given a task to do at the end of the lesson which you need to accomplish before you complete the lesson. It could be creating a new page on your website, joining in a discussion, or even sharing your new found knowledge with others. Your very first lesson when you sign up with Wealthy Affiliate! Do some tasks at the end of the day! You’ll be practicing what you learn in the lesson! 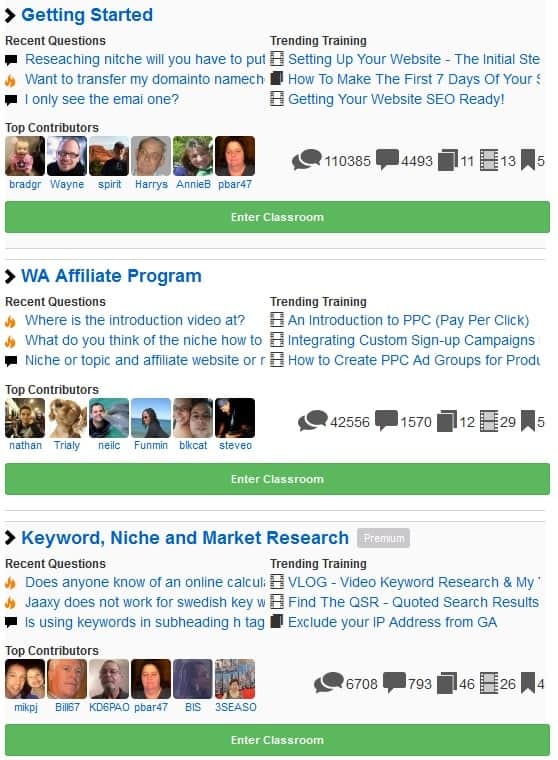 Classrooms are a place where you are free to discuss different topics of Wealthy Affiliate, such as how to get started, and picking a niche. There is a dedicated forum for each topic, with a lot of content you could learn from other users to build your website better too. You could also ask questions here if you are not sure of anything too. As a starter member, you would have access to the first two classrooms which helps you learn more about Wealthy Affiliate, and how to get started properly. 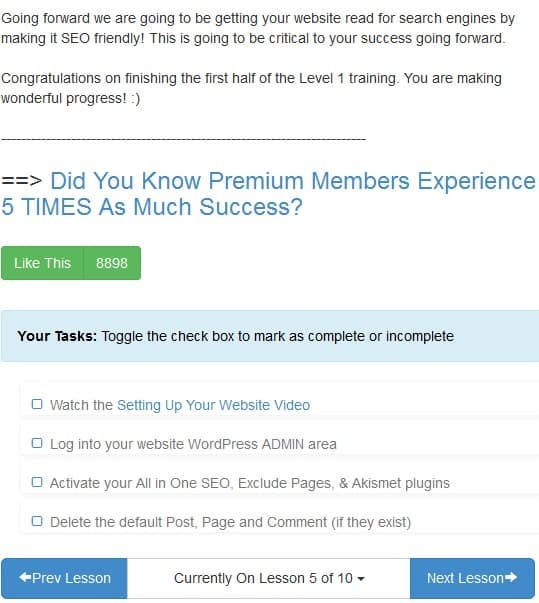 When you sign up for premium, you will unlock all 13 classrooms that cover almost every aspect of building a fully functional website from learning how to write content, to SEO, to E-mail and Video Marketing! Live Video classes are brought to you by Jay, one of the top members of Wealthy Affiliate. With this Live Video Class, Jay covers a new topic every week where you could learn how to improve on your website. The best part is while watching live, you can ask any question and get an answer almost immediately. If you missed a stream, it will be archived so that you can view it later at your own convenience. Users can share their own training too! People with a certain expertise can create their own training, and other users can also access such training to learn more as well. This adds on to the vast number of training already provided by the community. An example of a user created training. Wealthy Affiliate has a very active community which are willing to help out anyone. When you are doing something for the first time, I am very sure you would hit many hurdles and make mistakes along the way. It is OK to make mistakes. As such, you can always ask the community or the owners, Kyle and Carson, for help. I believe that to be successful, you would need support. That would come from the owners, community and even me! If you have any questions about Wealthy Affiliate, feel free to drop a comment below or on my profile, and I will try my best to answer you! What other big websites like Wealthy Affiliate would you actually see the owners actually interact and help you? Close to None. I’m not kidding at how active they are. Take a look below. 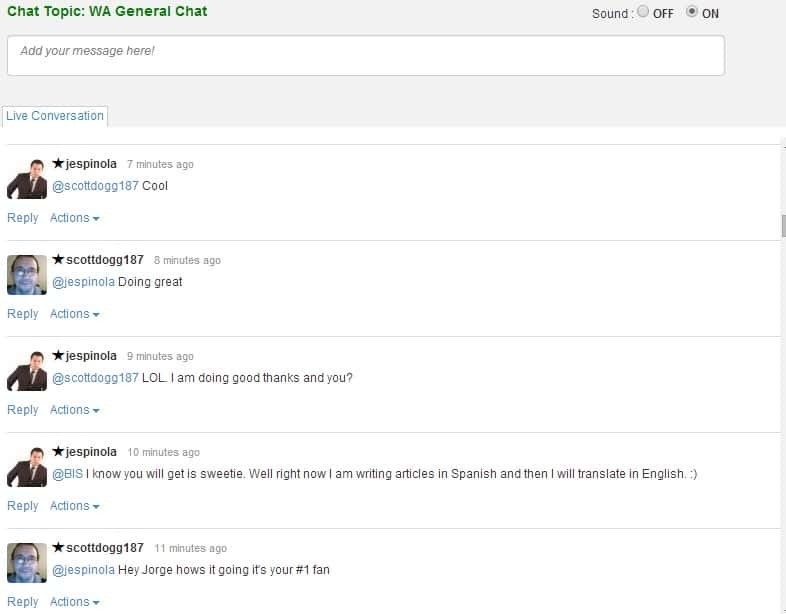 You can see both of them answering real people that are within the community. These replies are not template answers or some auto-responding message, but actual messages from the owners. The Live chat in Wealthy Affiliate is usually quite active as there are conversations happening almost all the time. You could always pop in and ask a question and get people to help you almost any time. However at times, you may not get an answer because the chat moves too fast. You could definitely get help from here as there are many users that are willing to help anyone. You might even make new friends here too! Like I have mentioned, The Wealthy Affiliate community believes in ‘Paying It Forward’. The members in Wealthy Affiliate have gotten help from others last time, and would wish to pass the knowledge to any new people who are starting out too. 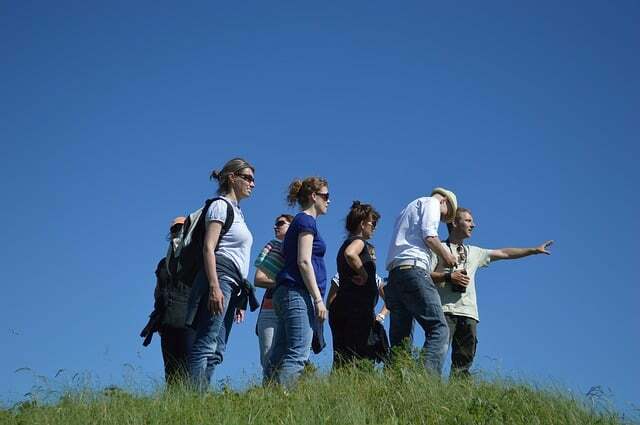 In fact, I will personally help and guide you if you have any queries along the way. I really enjoy helping others, so feel free to pop by and ask me any questions if you ever need! 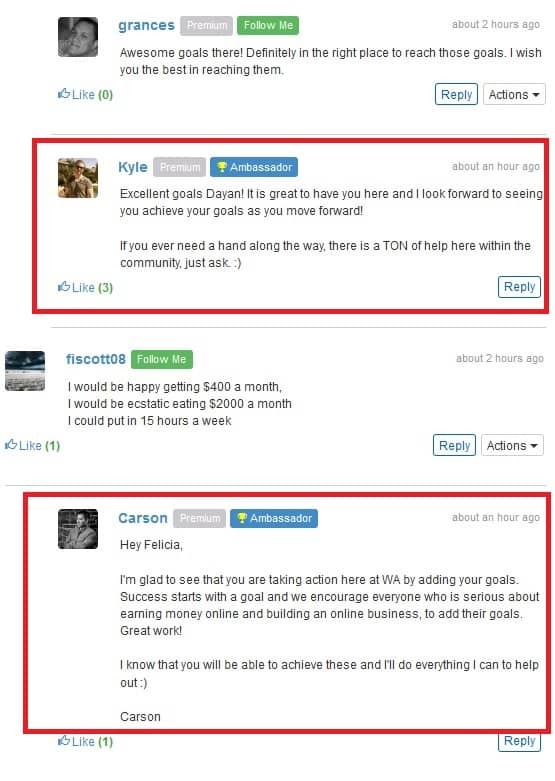 Besides the awesome community and training provided in Wealthy Affiliate, Kyle and Carson have also provided a wide range of tools to help anyone get started easily. These tools are really easy to use and do not require any technical knowledge at all! The Keyword Research Tool in Wealthy Affiliate helps you find popular keywords, and provide relevant data and information so you can use them to build traffic on your website. This tool is taught during part of the training when you are building your website including how to interpret the information shown too. 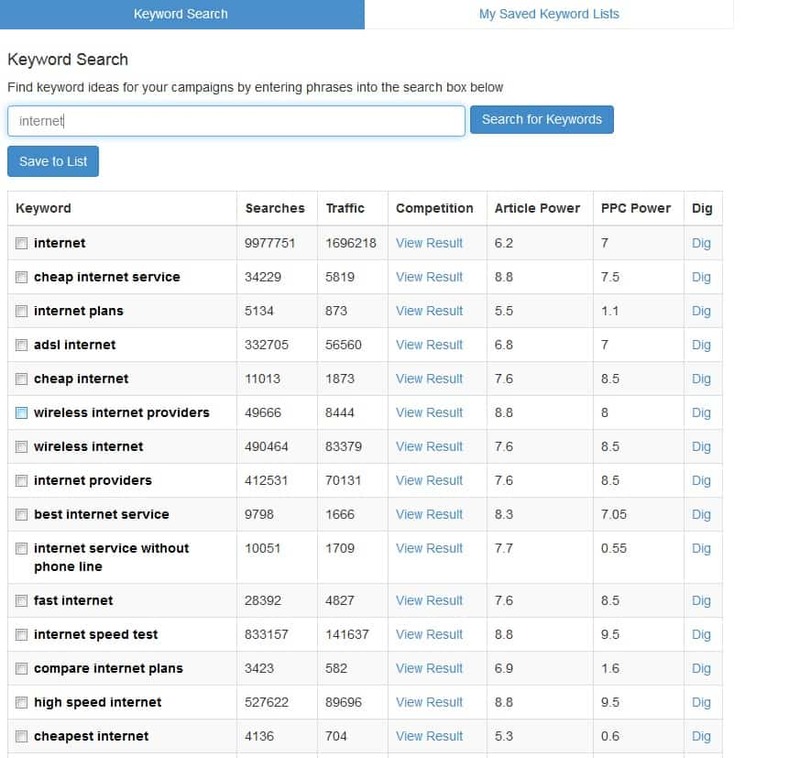 There is also an improved and more powerful version of the Keyword Research Tool which is called Jaaxy, where more information is given for each keyword! 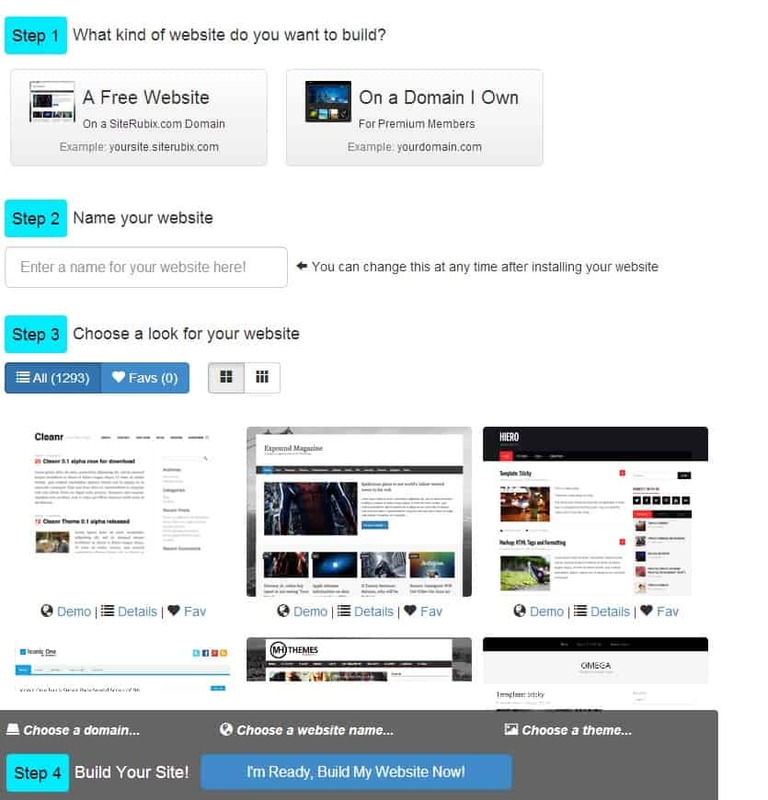 When you sign up for Wealthy Affiliate, you are given 2 free WordPress websites. You can build free websites in less than a minute in four simple steps, included with many functionality and plugins. For free members, you are given a Siterubix domain, while premium members can use their own domain. Website hosting is free of charge once you signed up for premium too! Still not convinced? Let me show you a video tour on the Wealthy Affiliate. In this short video, I show some of the things I featured above in this post, including the online entrepreneur course, live chat, and the classrooms too! I hope that by going through this short tour with me, you can see the benefits of what Wealth Affiliate has to offer. It is my #1 recommended resource for a reason, as there are so many advantages to signing up. The best of all, it is free to check it out too! 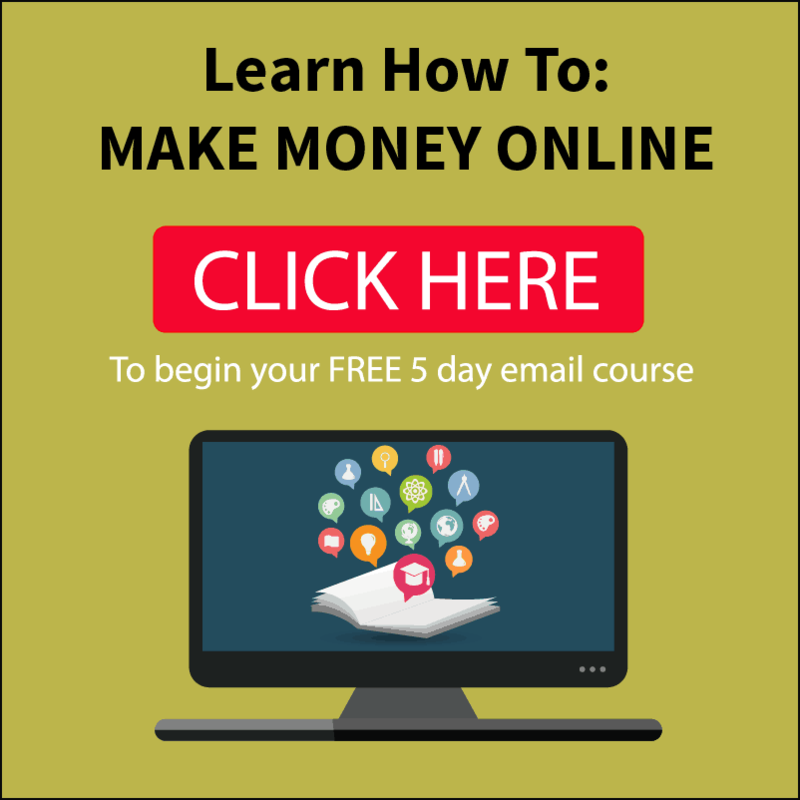 With so many scams out there on the Internet, there are few legit programs such as Wealthy Affiliate that really teaches people how to make money online. If not, most of them are actually MLM schemes that tells you to refer more people to the program. With Wealthy Affiliate, you can actually learn how to make money online. Combined with the training, support and tools provided, you are guaranteed to make money if you diligently put in the work required. Remember that this is not a get rich scheme that makes you money overnight. 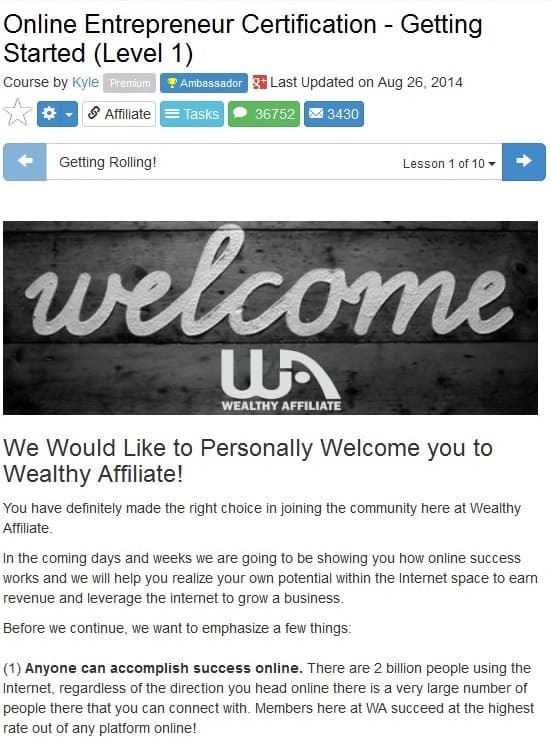 If you have not read my review on Wealthy Affiliate, take a look at how Wealthy Affiliate works! If you do choose to sign up, remember to take action by setting up your profile with a description. I will provide you with the instructions on what you would need to do when you sign up. Remember to drop by my profile to say Hi too! I look forward to working with you in Wealthy Affiliate! 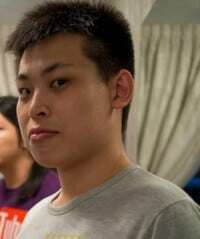 hi, i am from singapore but living and working in VN. tried to get free access but the system says VN not entitled for free membership. anyway to bypass? You can try to use a VPN to bypass the restriction. However, you need to use another email to sign up.